PORTLAND, Ore. – Western Watersheds Project, a nonprofit environmental group, has launched a legal challenge to a management plan for five National Wildlife Refuges in the Klamath Basin of Oregon and California. The lawsuit, filed last week in Oregon, cites failures by the U.S. Fish and Wildlife Service to protect sage grouse and rare native fishes from commercial livestock grazing in the refuges. Despite a mandate to manage the refuges for wildlife, the Fish and Wildlife Service authorized widespread livestock grazing, increasing seasons and areas where grazing occurs, even at the site of the last remaining breeding ground of a struggling sage grouse population. 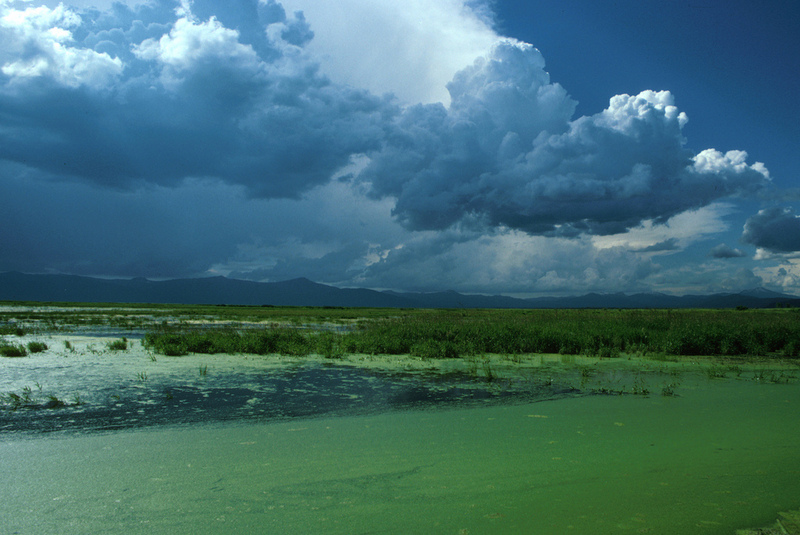 Klamath Basin courtesy of USFWS. One of the five refuge units, the Clear Lake National Wildlife Refuge in northeastern California, was established in 1911 explicitly to protect the habitat of native birds, including the Greater sage grouse. Now very rare in the Klamath Basin, sage grouse are found only at Clear Lake Refuge. The new Refuge plan did not consider reductions in livestock grazing even though this land use currently degrades breeding and nesting habitat for the highly imperiled species. The lawsuit was filed last Friday in the U.S. District Court in Medford, Oregon and alleges violations of the National Environmental Policy Act, the National Wildlife Refuge System Administration Act, and other laws. Western Watersheds Project is represented by staff counsel and Portland, Oregon attorney Dave Becker. A copy of the complaint can be found online here. Federal waterfowl refuges sometimes justify livestock grazing to create or maintain goose pastures. We have lots of geese, often too many. Where there are conflicts, sage-grouse should be a much higher priority.